It’s Always Sunny in Philadelphia, the evergreen comedy that shows no sign of slowing up, has today earned a two-season renewal at FX. Having just wrapped up season 11 earlier this year, the network’s order extends Always Sunny’s run to season 14 – season 12, meanwhile, is due in 2017 – bringing Rob McElhenney’s series neck and neck with The Adventures of Ozzie and Harriet, which holds the record for the most seasons by a live-action comedy. Buoyed by impressive viewing figures – viewer count for Always Sunny season 11 was up 13 precent on its predecessor – FX spoke about the show’s future, which continues to look bright even so far into its run. 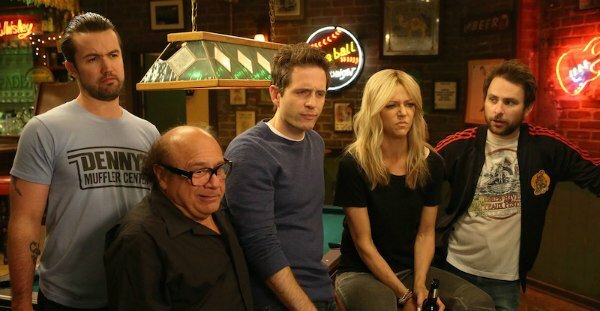 Charlie Day, Kaitlin Olson, Glenn Howerton and Danny DeVito will hit up Paddy’s Bar once again when It’s Always Sunny in Philadelphia returns to the small screen in 2017. Given today’s announcement, FX’s hit comedy may just outlive us all at this point.